This week’s bouquet includes Golden Mustard roses, lavender stock, pink snapdragons, waxflower, pompon mums, and umbrella fern. If we've sold out for the week OR you'd like to send flowers for a later date, please select later date option to send flowers next week or in a month. Add a vase and Woodlot candle to complete the look. 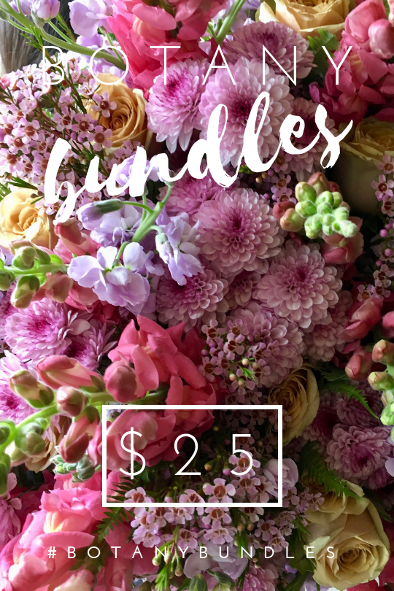 Or send along a Gift Certificate for the recipient to put towards their next Botany Bundle!